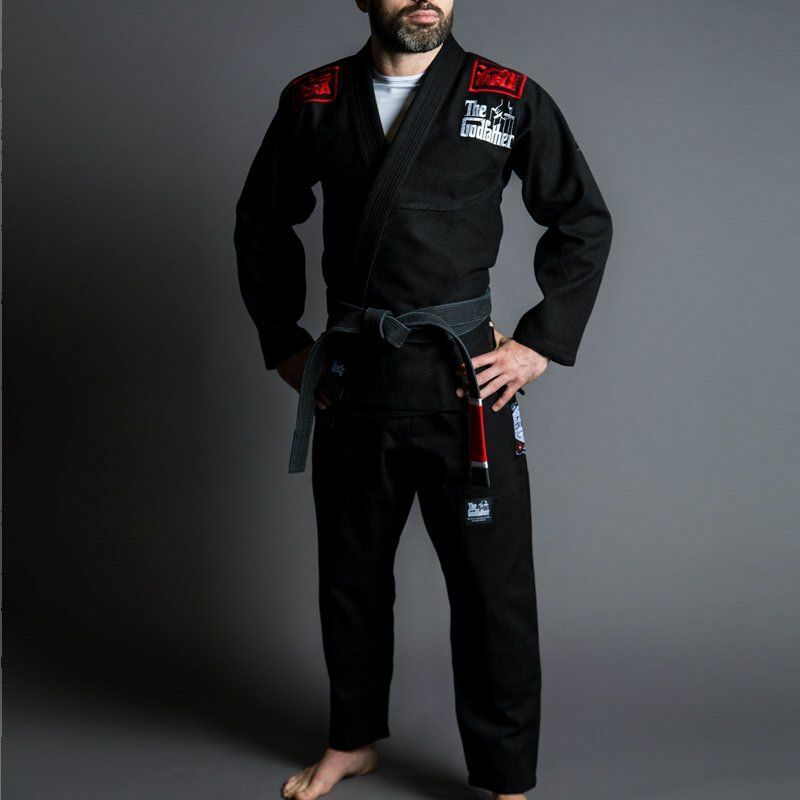 The Godfather BJJ Kimono from Scramble. Officially licensed, this gi features a 550gsm pearl weave top and 12oz cotton twill pants. 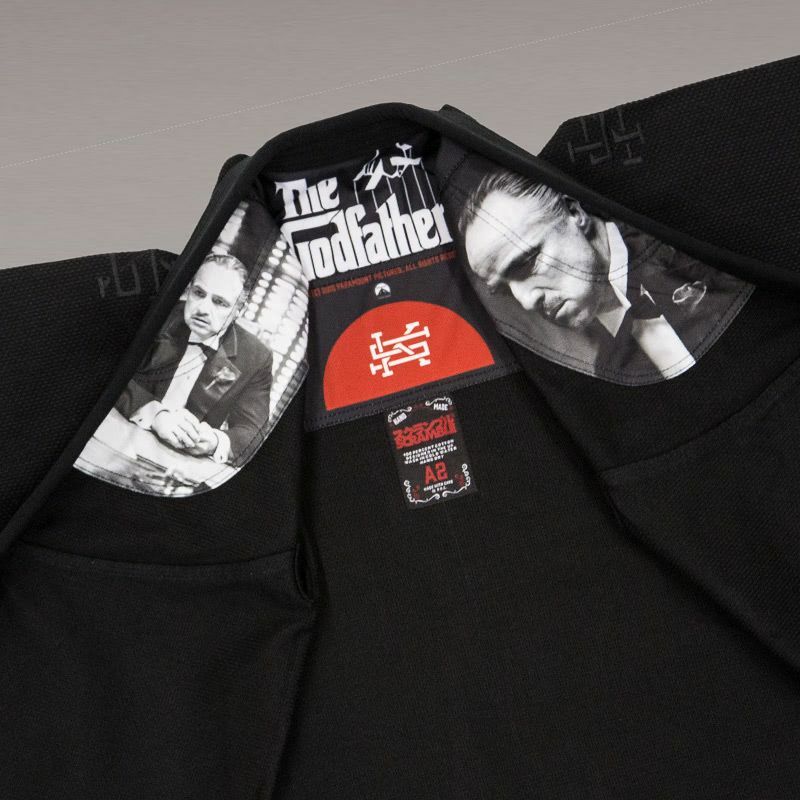 Prints of The Godfather himself, Don Vito Corleone, adorn the inside of the gi. The Godfather is one of the greatest films of all time, and we’ve tried to immortalise it in gi form for jiu jitsu practitioners around the world. The Godfather is ™ & © 2015 Paramount Pictures, all rights reserved.